Last year, the state conducted a six-month pilot closure of the Piikoi on-ramp to the H-1 (Image: Hawaii News Now/file). 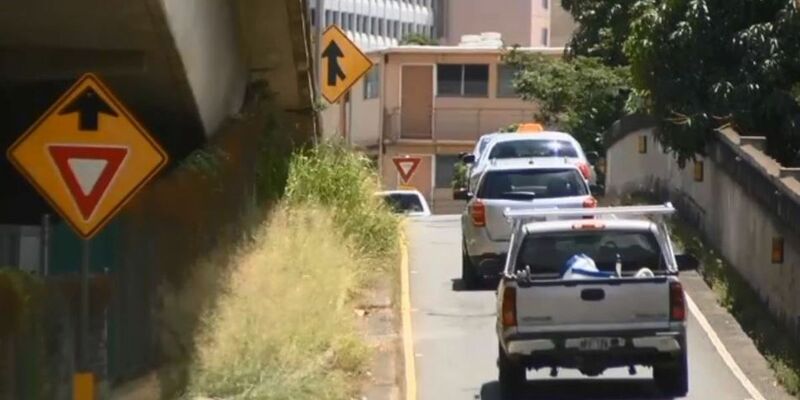 HONOLULU (HawaiiNewsNow) - After completing an analysis on a six-month pilot closure of the Piikoi on-ramp to the H-1 Freeway eastbound, the state Department of Transportation confirmed Thursday the closure will last indefinitely. Last year, the state decided to close the on-ramp during peak afternoon travel times. The idea: Shut down a key congestion point to help traffic flow more smoothly. The state said it found, through analysis of the pilot closure, that drivers saved an average of 4.7 minutes between the Middle Street overpass and the Punahou Street off-ramp during peak afternoon travel times. Drivers also got a taste of the closure for two weeks in April 2017. The state said its recent findings essentially confirmed the April demonstration in which drivers also shaved off time from their commute. “We can say with confidence that the closure of the Piikoi on-ramp will improve the flow of traffic on the H-1 eastbound in the afternoons,” HDOT Highways Deputy Director Ed Sniffen said, in a statement. Drivers who had to reroute to other eastbound freeway on-ramps had a minimal increase in travel times, HDOT said. The weekday closure will take place from 3 p.m. to 6:30 p.m.